Below you can see an alphabetical index. In this index keywords of questions are listed. If you click on one, you will be brought to the Question and Answer about that word. For example: If you want to know how you can get a Draik, you look under the letter D, and click on Draik. How do you play the 10k a day game? On the Games Neoboard a lot of people play a game called 10k a day. First they wait until there are enough people wanting to play. When there are enough people everyone puts their money in the Bank. The person hosting the game picks a game, and everyone plays it three times. Then everyone posts their highest score (out of those three games). The person with the highest score gets to pick the next game. The first person to get 10k wins the game. How does your pet get abilities? How do you raise the level of your abilities? Abilities can be gotten if you let a Bottled Faerie Bless your pet. Your pet does need to be the right level (or higher) or the faerie will just fly away. There are also certain neggs that can give your pets abilities: the 'Cackling Negg' gives your pet the Shadow Health ability and the 'Spinning Negg' gives your pet the Air Shield ability. The level of your abilities can be raised if you land on the Light Faerie at the Wheel of Excitement, or by feeding your pet a 'Radioactive Negg'. The 'Plaid Negg' can also raise the level of your abilities, but this can come with side effects such as your pet changing to a basic color. What do Endurance and Agility mean at the Training School/The Academy? Endurance is training for more hitpoints. Agility is training for more movement points. You can read more about training your pet at SunnyNeo's Battledome Training page. How do you get secret avatars and how do you use them? SunnyNeo.com has a list of all secret avatar and how to get them. SunnyNeo.com's Secret Avatars List. At Chat Preferences, you can set which avatar you want to use. At that page you can also set a neoHTML code and a signature code. How do you play Avatar Simon Says? Avatar Simon Says is a game played mostly on the Avatar Neoboards, or at guilds. The person hosting the game will show an avatar, and everyone who has entered the game needs to show that they have that avatar as well. If they don't have the avatar, they lost the game. If they do have it, they move on to the next round. The person wo stays in the game longest, wins. In order to show people you want to participate you need to put your avatar on the default avatar. The Braintree asked me where this person died and when, how do I find out? The Braintree will always ask you the place and date of a person's death. The only way to answer such a question, is to feed the Esophagor twice while you are on a Braintree quest. Recording the answers for next time is no use at all, because the dates and places of the characters people change all the time. How do you get a Chocolate Chia? 3. By completing a Fountain Faerie Quest, and painting your pet Chocolate at the Rainbow Pool after. What are these things I keep hearing about pets changing colours all of a sudden? Pets can permanently change color if you don't take good care of them. If a pet is sad, it will turn Blue. If a pet is angry, it will turn Red. Then there are also random events that can lead to your pet changing color. Random events can change your pet Baby or Invisible, and there's nothing you can do to prevent that from happening :( You can see all these random events on the SunnyNeo Random Events page. What time can I play Deadly Dice? You can play Deadly Dice between 12-1am NST. Or all day long at Halloween. How do you get a Draik? 1. You need to have 3 pets or less in order to create a Draik. Visit the Draik Nest if you have a 'Draik Egg' in your inventory. When you are there you need to enter a unique name (a pet name that no other pet in Neopia has). Once you have done so you need to click 'Hatch Egg'. After that the following message will appear 'There is a loud cracking noise and suddenly your egg has hatched into a DRAIK!!!!'. Draik eggs are originally sold at the Meridell Foods shop for around 100k, but can also be obtained through auctions or trades. 2. You use a Draik Transmogrification Potion or a Draik Morphing Potion on your pet. Then your pet will turn into a Draik. How do you get a Dubloons and what are they used for? Dubloons are the currency of Krawk Island. Currently you can only get dubloons from Colzan's Shrine if Colzan decides to grand you a dubloon, from Black Pawkeet Slots, or you can buy them at shops, trades or auctions of course. Dubloons can be used to train your pet at the Swashbuckling Academy, buy a petpet at Little Nippers, buy rare artifacts from smugglers at the Smugglers Cove or have a nice meal at The Golden Dubloon. What time can I battle Edna? You can battle Edna between 12-1am NST. Or all day long at Halloween. What does the Faerie Portrait do? It does absolutely nothing, it's just pretty to look at. What's a gallery? How do you make a gallery? A gallery is someone's collection of items. They put their items in their shop for all to see. Its kind of like a museum. If you wat to make one yourself, you can open up one here. You can put all your items in there through your inventory or quickstock. You can even rank them any way you wish, or put them in different categories. By putting your items in your gallery they will be for show only, people will not be able to buy them. How often can you send score on games each day? Normally, you are allowed to send score 3 times a day. Any scores you submit after that will not give you any neopoints or count towards highscore tables. However, there are a few exceptions. In February, there is 'Five Score February'; in the month of February on Friday, Saturday and Sunday you will be able to send 5 scores when you play games. The same thing happens in May, but this time it's called 'May Mayhem'. Also on November 15th it's Neopets Birthday, starting that day you will be able to send score in flash games 5 times for the entire week. Starting in 2010, 8 scores can be sent daily in the month of April. How do you get a Garlic Pet? 3. By completing a Fountain Faerie Quest, and painting your pet Garlic at the Rainbow Pool after. The Lab Ray changed my pet's gender, how do I change it back? 1. You wait for the Lab Ray to change your gender again. 2. You battle the Lab Ray Scientist until he makes a move where your pet's gender is changed. 3. You buy a 'Strange Potion'and use it on your pet. How do you make/keep my pet happy? You can make your pets happy by feeding them, letting them play with toys and grooming them. You also need to make sure your pets aren't ill because this will make them very unhappy. On Roo Island there is also the Merry Go Round, each time your pet rides the Merry Go Round his/her happiness level will go up by one. The Merry Go Round is more effective making a pet happy than letting your pet play with toys. if you're in a hurry, for 50nps a go your pet will be back happy in no time. When is Half Price Day and which shops participate? Half price day is on the 3rd day of every months. All neopets shops will sell their items for half its regular price on that day. The Hidden Tower and the Smugglars Cove excluded. Shops owned by neopets players aren't included either. SunnyNeo.com has a page that tells you everything you ever wanted to know about the Hidden Tower, including it's location. Just click on the link to go there: SunnyNeo.com's Hidden Tower page. Im going on holiday, who is going to feed my pets? First of all I'd like to state that getting a Neositter (someone who looks after your pets for you while you are gone) is against the Neopets Rules, and also very dangerous, so you definately do not want to do that. In Neopia Central there is a place called the Neolodge, you can bring your pets to this hotel for a small fee and they will be entertained and fed there. How do you get an Ice Bori? Right now you can no longer get an Ice Bori. You used to be able to get one by downloading the Neopets/Yahoo Toolbar (October 2004). But you can no longer do so. You cannot get them from the Lab Ray either. And if someone puts an Ice Bori in the pound they will turn blue, so don't count on finding one in the pound. Where is Jelly World and why is it not on the map? It's not on the map because neopets is still in denial about making a jelly world, they just don't want to admit it, so they pretend its not there. Where is Jelly World NeoBoard and why isn't it on the list of Neoboards? It's not on the list doesn't want to admit they made a Jelly World, but they did want to put out clues everywhere, like this board. How do you get Job Coupons for the Employment Agency? The Brightvale Job Coupons can be won at the The Wheel of Knowledge. The regular Job Coupons used to come from Sponsor Offers, but the only way to get them now, is to use a Brightvale Job Coupon. Everytime a job coupon is used, they get downgraded by one level. Of course you can also buy Job coupons at peoples shops, trades and auctions. Do mind that there are also jobs that do not require Job Coupons. These are the Basic Jobs. What does K mean? Like when people say 100k? K is used as an abbreviation for the word thousand. 100k would mean 100,000. This abbreviation and many other abbreviations can be found at SunnyNeo.com's Abbreviations Page. Why do Kadoaties never ask for any food but Draik Eggs? This question, and many other questions about the Kadoatery, like what food Kadoaties ask for, are answered on SunnyNeo.com's Kadoatery Guide. Just click on the link to go there: SunnyNeo.com's Kadoatie Guide. How do you get a Krawk pet? 1. You need to have 3 pets or less in order to create a Krawk. Give your pet a Krawk petpet as their petpet. Give the Krawk petpet a unique name (a pet name that no other pet in Neopia has). Go to the Fungus Cave while your pet with Krawk petpet is your active pet. You will be asked if you want to feed your petpet some Fungus, if you click yes, your new Krawk will be born. 2. You use a Krawk Morphing Potion or a Krawk Transmogrification Potion on your pet. Then your pet will turn into a Krawk. 3. You let your pet play with a Magical (color) Krawk Plushie. After you've done this your pet will be a Krawk, and your magical plushie will have become a normal plushie. What is the Lab Ray and what does it do? The answer to this question, and any other question you could possibly have about the Lab Ray is answered on SunnyNeo.com's Secret Laboratory Page. How do you change your language? I accidentally set it to a foreign language and I don't know how to change it back! While you're at neopets, scroll down the page to the very bottom. You will then see a small dropdown menu in which you can change your language. What happens if you feed your pet a Magical Tomato and Pepper Omelette? Nothing happens really, it just feeds your pet. What makes this omelette different from the others, is that this omelette will leave you with no leftovers, while the other omelettes do. What do Magic Ghost Marshmallows do? Magic Ghost Marshmallows will heal your pet if your pet is painted Ghost. Where can I find the Monthly Freebies? You can find them at http://www.neopets.com/freebies. They can be collected once a month. You will receive one food item per pet and 2,000 neopoints. Where can I buy an Malevolent Sentient Poogle Plushie (TCG)? The Malevolent Sentient Poogle Plushie (TCG)'s originally came from the First Edition trading card sets. If you buy a trading card set in a real store then it will come with a rare item code, these codes can be redeemed on neopets. When you redeem a code you will be given neopoints or an item. These First Edition rare item codes would also give you the chance of getting the Malevolent Sentient Poogle Plushie (TCG). They are no longer for sale in stores however. It may be possible you can still get them off other users through auction sites. Don't be fooled though, the chance of actually getting the MSPP from the rare item code is very small. Another way of getting the card is by buying it from other users through the Trading Post, prepare to pay millions of neopoints there. Yes, your neocash expires after one year, whether it was purchased (using PayPal / through a Neocash Card) or received free of charge as part of a site event (Halloween, Springtime Celebration, etc.) or activity (Expellibox, Daily Dare, etc.). If you have not used your neocash within that time, you will receive a warning neomail by TNT about a month before it expires. In this neomail TNT will write that if you do not use your neocash within a month, it will be turned into random items for whichever amount of neocash you had left. Important to know is that neocash is used in the order that you have obtained it: your oldest neocash will be used before your new neocash. Neocash items do not expire, you can keep those forever! 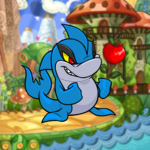 In what colors can I paint my pet/petpet? At the Rainbow Pool, you can see what color each pet species can be painted in. There is also a place there called the Petpet Puddle that's where you can see the same thing, for petpets. What's the url to the picture of my pet that automatically updates? Replace petname with the name of your pet. How can I raise my petpet's level? There are three ways to raise your petpet's level. First is by scoring ten points at Petpet Battles. The other way is by getting lucky at the Turmaculus, he could grand your petpet a level. The third way is through the Petpet Laboratory, in order to access this you need to have completed all 9 pieces of the Secret Laboratory Map and the Petpet Laboratory Map. How can I name my petpet? And how do I remove it? At the Quickref page, click on your petpet. This will bring you to a new page where you can talk to your petpet, give it a name, or remove your petpet. How do you attach a Petpetpet to your petpet? Unfortunately there is no easy or safe way to do this. Attaching a petpetpet to your petpet is a random event. You need to put the petpetpet in your inventory and keep refreshing it. This could take.. weeks, months even. And all this time you are risking your petpetpet getting stolen by the shadow usul, grundo leader, pant devil etc. Where can I find the old plot comics? We've gathered all the links below. Where can I find the old plot prize shops? If you haven't spend the plot points you earned from old plots yet, you can use the links below to visit the prize shops. Please note that you can no longer participate in these plots! How can I use the Rainbow Fountain? In order to use the Rainbow Fountain, you need to complete a Fountain Faerie quest first. These are given out by random events. Visit SunnyNeo.com's Fountain Faerie Quest page for more information. What are these rarities items have, and what do they stand for? All items with a rarity up to 100 are sold in the neopets shops. The lower the rarity of the item is, the more often the item will appear at shop restocks. Items with a rarity that is very high, will not appear very often. Food items with a rarity 90-100 can be used for the Gourmet Club. All items between rarity 101-179 are not sold in shops, but are gotten in special ways like random events, Lenny Conundrum prizes etc. Rarity 180 means that the item is retired and cannot be gotten in any way anymore, not in shops or elsewhere. Items with a rarity of 200 are sold at the Hidden Tower. Items with rarity 240 are retired items from the Hidden Tower. They used to be sold there, but now they aren't sold there anymore. What are Red Codestones for, and how do you get them? Red Codestones are used to train pets with a level of 250 or higher at the Secret Ninja Training School. You can buy them at shops, trades or auctions. or you can trade in a full set of normal codestones (10 different ones) for one red codestone at the Mystery Island Volcano. You can read more about training your pet at the Secret Ninja Training School on SunnyNeo's Battledome Training page. I dont want this account anymore, how do I remove it? First you need to log into the account you wish to remove, then you go to the Removing your Neopets Account page. After you typed in your pasword and pressed the 'Remove your Account' button, your account will be gone forever. What's a restock ban? How do you know you are on a restock ban? How long does it last? Neopets created restock bans to make restocking more fair on everyone. People who spend too much time at the neopets shops get banned from buying stuff there for a while. This can last from a few hours, to a few days. The restock bans are measured by the number of refreshes you make at a shop. So if you go there and refresh like crazy, you have a high chance of getting restock banned. You know you are restock banned if you cannot see any items in the neopets shops, not even in shops like the Tiki Tack Shop that always have stuff in them. Can you still use retired paint brushes, like Lost Desert? Yes you can, the only paint brushes that you cannot use anymore are Glass and Stone. Those two arent listed as colours at the Rainbow Pool anymore, that's why. My pet is sick, how do I cure it? At SunnyNeo's Diseases an Cures page you can see which disease requires which medicines. It also has indepth information on alternative ways to heal your pet. How do you make all those smileys on the Neoboards and Guild Messageboards? SunnyNeo.com has a page completely dedicated to smileys, all of them are on there including the secret ones. SunnyNeo.com's Smileys page. When is the Snowager asleep? The Snowager sleeps at 6-7am, 2-3pm, 10-11pm NST. How do Sticky Hands work? Do you get to keep the item you steal? Sticky Hands have a chance of grabbing the first item of someones equipment during a battle. Some Sticky hands have a bigger chance of grabbing something than others. At the end of the battle the item will be returned to the owner, but during the battle you are free to use it for whatever you wish. How do you get a Tonu? Every day neopets created 500 Tonus, while that happens you can create a Tonu at Create a Pet. Of course you can also get a tonu from the Lab Ray, by using a Tonu Morphing Potion or Tonu Transmogrification Potion on your pet, or by letting your pet play with a Magical (color) Tonu Plushie. What's the deal with unconverted pets? How do you get them? Unconverted pets go back to the times before customisation (before April 26th 2007). Pets that were painted in special colours such as Grey and Plushie were sometimes (not on all pets) given the option to convert or to keep the pet the same. If a person would decide to convert their pet it would be able to wear clothes. If a person decided to keep their pet unconverted it couldn't wear clothes (only trinkets and backgrounds) but it did keep the old artwork. The option to convert or not to convert was only given to pets that were painted before April 26th 2007 and only to certain colours. If you paint a pet nowadays you cannot choose between converted or unconverted, the pet automatically becomes converted. If you have a converted pet and you re-paint it, it will also automatically before converted. If you have a converted pet you should also watch out for random events such as Boochi, which will automatically convert your pet. If you want to read more about April 26th 2007, you can read this page. What does a Vengeful Scroll do? First of all the Vengeful Scroll is a book, which means that it will add to your pet's read book count. However, this book also has a side effect! Any pet that reads it will turn into a Pink Lenny. What's that I hear about Neopets being sold to Viacom? Often you hear people complaining about how Neopets was ruined after it was sold to Viacom. They talk about it as if this is something that happened recently. We'll these people really don't know what they're talking about. Neopets was sold to Viacom (the same company that owns Nickelodeon and MTV) on June 21st 2005. Yes, years ago! If you're interested you can read a Newspaper article from the Boston Globe about the sale. The sale to Viacom went pretty much unnoticed, people just like blaming changes on Viacom, which is pretty unfair really. The people who work for Neopets try their best to continuously improve the site. Viacom definitely doesn't have some evil scheme to ruin the site. For them it's just a way to generate more income, so they want a lot of players, they don't want to chase them away. How do I make my pet gain in weight? Everytime you complete an Earth Faerie Quest, your pet will gain one pound in weight. Another way is to feed your pet 'BBQ Porkwich'.